I’ve been a slacker. I have gotten back into school (my day job) and we have lots of brand new core curriculum to cover and it has taken all my time getting used to it. So I haven’t had time to blog as much. Plus we had our grandkids last weekend, and, well, that took all my time, literally! A cute coloring page for the song is HERE. This would be fun for kids to color. We took them to the State Fair, McDonalds, Swimming and to the park and Cafe Rio. We were all pooped by the end of the weekend!Anyway next weekend is not only my birthday on October 1st, but it is the Sunday before General Conference. I’m going to put all kinds of resources on this blog post that you could download and copy to give the kids to help them watch conference and enjoy it at the same time. 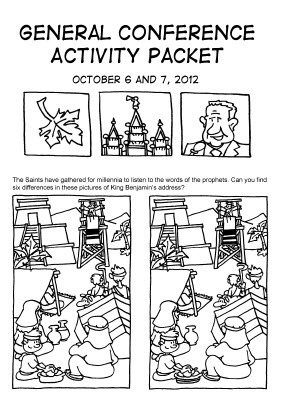 General Conference games are great to give out in Primary the week before General Conference! You could show them a conference Bingo card and maybe do a few of the squares linking them to a song with that word in it as you sing a range of songs. Have 2 colors of bingo chips (red for girls, blue for boys) and have a little competition throughout the 20 minutes of singing time to see how many words kids can hear and raise their hand to go cover with the “chips” which could just be colored circles of paper. Another song by Steven Perry and words by Brad Wilcox and it’s HERE copied from The Friend Magazine. Here is the first verse…. 1. Of all the Sundays of the year,the ones I love the bestare conf’rence Sundays twice a year,so diff’rent from the rest.I gather with my familyand feel the Spirit nearas I prepare to understandthe messages I hear. 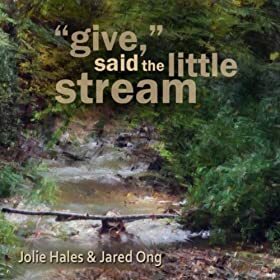 Sing President Monson’s favorite Primary Song, “Give Said the Little Stream”. One bunch is from the church website. The link is HERE at LDS.org. There is a Bingo game for words that you hear in talks, a bunch of coloring pages, and some journaling pages to write in and color. High Fiving Thomas S. on Temple Square…..my new Fav picture…. Here’s to a high 5 year….Let’s have one! 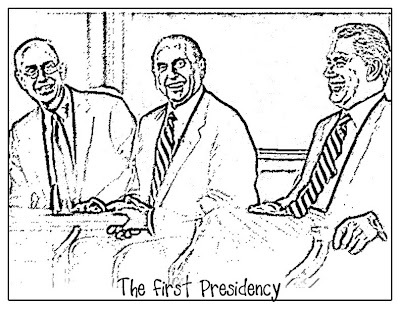 You could also sing one of President Monson’s favorite Primary songs! In his autobiography he said that he enjoyed singing “Give Said the Little Stream”. That’s one even the sunbeams can sing! Here is some additional verses to the song that were written by Kimball Brown. The Sunday before General Conference is a great time to do President Monson’s favorite Primary song! Another packet can be printed out from Sugardoodle. The link is HERE at Sugardoodle. 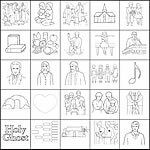 Lots of activities can be found at Sugardoodle website for General Conference. 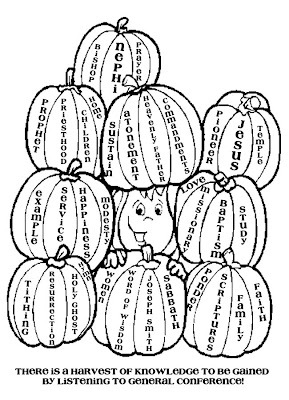 Fall Pumpkin General Conference Activity….just color each section of pumpkin that you hear that word in one of the talks! Very fun and educational too! A cute activity for elementary age kids would be this one. They listen to the talks with you, then color the sections of the fall pumpkins that have that word written that they just heard in a talk. It helps them to get something from conference by listening to the speakers with a little more attention! What an excellent idea from A Little Tipsy’s website . Love these dudes! And I’m looking forward to General Conference in a week! One thing they can do is try to copy down all the new temples that are announced to be built and where they will be built. Then you could do a neat singing time next week on the 14th of October on all the primary songs about temples and then do a little quiz about how many temples were announced and where they are being built! That would be a GREAT AND FUN CHALLENGE FOR KIDS!